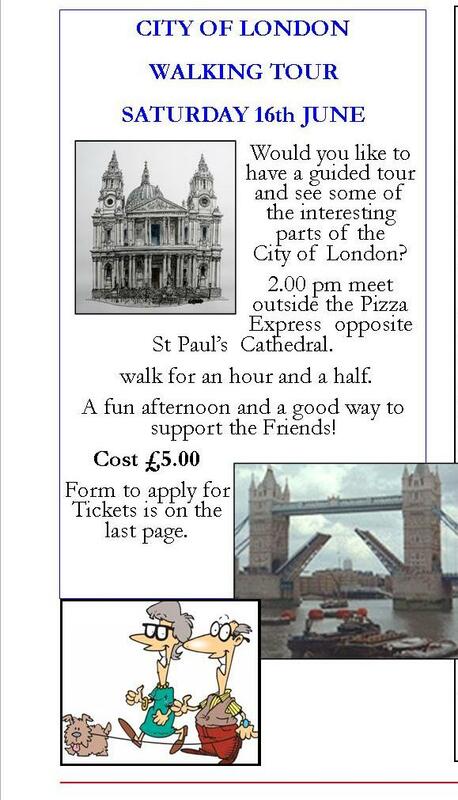 Come and join the Friends of the Chaplaincy for a short stroll around the City of London next Saturday 16th June. We meet at 2pm opposite St Pauls Cathedral, by Pizza Express. Rev Margaret will take us on a tour of interesting buildings and tell us some history and facts. It will be interpreted BSL by Rev Anne. After the tour, we aim to find a cafe for a cup of tea and maybe a piece of cake! Tickets are £5 with all proceeds going towards raising money for a schools worker. Please see the FRIENDS page for more information. You can just turn up on Saturday – but it is better to text to Rev Anne – 0781 188 8019 so we know who to expect. Please text especially if you have special needs we need to know about.